You say that when a frozen bag of veggies has ice that is a sign that its been thawed. Why does ice occur so quickly in a home freezer? This seems like a really easy question but it's not. There are a ton of reasons for ice build up in the freezer and on your food. I'm no chemist but here's the basic concepts as I understand them. First lets tackle the bag of frozen veggies. When freezing veggies they are usually blanched, dried and then frozen. When they thaw you'll see some water, some of it is condensation and some is the liquid from the veggies. As the water in the veggies freezes it expands breaking up some of the structure of the vegetable; thus the reason they aren't as crisp and firm as fresh veggies. When they thaw some of this water will 'leak' out. If it refreezes soon after that you'll have ice on your veggies. This process is the same for other types of foods as well. 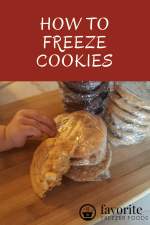 Ice can also develop from using the wrong containers instead of high quality freezer storage containers or not properly sealing your containers. The moisture in the air, when cooled, turns into ice on your freezer shelves, walls and containers. 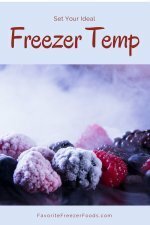 If you're getting ice on your food but not on the shelves and sides of the freezer it's most likely because you have a auto-defrost freezer and the food is thawing and refreezing when the freezer defrosts. As for ice in a home freezer I've found the most common reason is that the door isn't fully closed. This means that warm air is slowly leaking into the freezer, cooling and building up ice in your freezer. And, without the proper freezer containers, makes your food freezer burn too. So clear stuff away from the door and make sure it shuts every time. If you're still getting lots of ice in the freezer check the seal on your door. In older fridge and freezer combined models the freezer does not seal because it's designed to cool the fridge. The only way to deal with these is to keep defrosting the freezer or replace it. If you're still getting lots of ice build-up you might need to call in an appliance repair specialist or consider a new freezer.